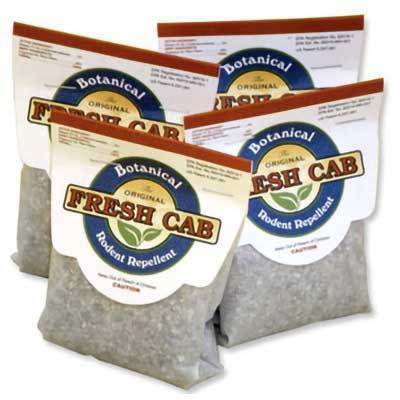 Fresh Cab is the first Botanical Rodent Repellent made available to the general public that freshens the air and at the same time repels rodents in enclosed storage areas. It repels by an odor that is offensive to rodents, but not to humans and can be used effectively for up to 30 days. One pouch will treat 8 square feet. Great for autos, R.V.s, airplanes, boats, tractors, electric junction boxes and closed storage areas. Its active ingredient is balsam fir oil which is a natural pesticide. Here’s an alternative to Moth Balls. Now available in a four pouch box. Stop by today to discuss this new product next time you’re in New London.